A bill signed Monday by Gov. 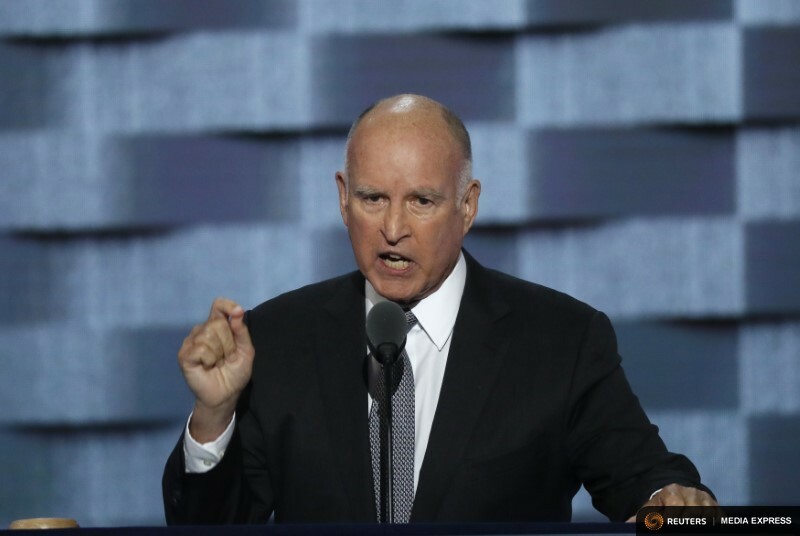 Jerry Brown and co- authored by several San Diego lawmakers puts California on a path to using only carbon-neutral energy by 2045. SB 100 requires that 50 percent of the state’s energy must be renewable by the end of 2026, 60 percent renewable by 2030 and 100 percent by 2045. The law essentially rewrites SB 350, the 2015 Clean Energy and Pollution Reduction Act, which mandated that the state reach the target of 50 percent renewable energy by 2030. The bill was authored by Sen. Kevin de Leon, D-Los Angeles. Assemblywoman Lorena Gonzalez Fletcher was listed as the main co-author among 30 legislators, including Assemblyman Todd Gloria, D-San Diego, from both chambers. Gloria called it “a truly momentous day” for California. “With the governor’s signature on SB 100 today, we are now set on an aggressive path toward the adoption of 100 percent clean energy in California. This means future generations of Californians will have a safe and clean place to grow up, live, and raise a family,” he said.